It’s a ‘pay what you want’ event, so you pay what you think it was worth at the end of the night. 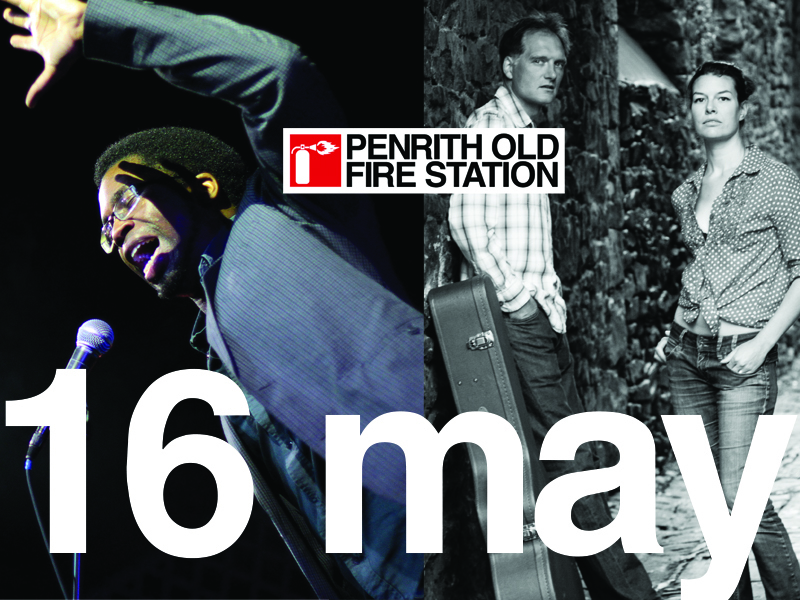 This event is also a benefit to support the work of the LED and Junipert Trust Charities who have collected a fantastic 7 tonnes of tents and sleeping bags for Nepal in Penrith Old Fire Station. All money raised will go towards the releif effort. A night of poetry, music – and a quiz! Featuring poet Jacob Sam-La Rose, musicians Northern Sky, and (as always) a chance to win the famed Map of Shap. Jacob Sam-La Rose’s poetry has been characterised as vivid, masterly and carefully structured. He’s widely recognised as an indefatigable facilitator, mentor and supporter of young and emerging poets, and as an advocate for the positive impact of new technology on literary and artistic practice and collaboration. He lives in London. Northern Sky are Abby Colombi (vocals) and John Osborne (guitar & vocals). Once upon a time, they formed a little covers band in order to play a gig to raise money for charity. As it turns out, they were rather good and have continued ever since! They play a mixture of our own work (listen & watch here, if you fancy) plus unlikely choices of great songs by Kate Bush, Everything But The Girl, Gnarls Barkley, New Order, PJ Harvey… the list goes on! The quiz will be cheesy – in the best possible sense. The events are relaxed and informal and tickets are ‘sold’ on a pay what you wish (on the night) basis.